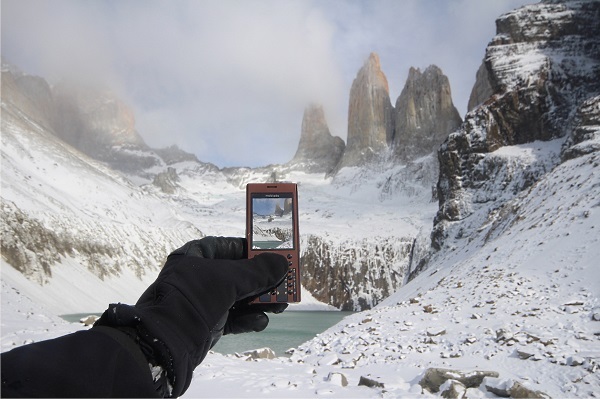 Luxury mobile phone manufacturer, Mobiado has released a collection of robust phones meant to withstand the toughest of conditions. 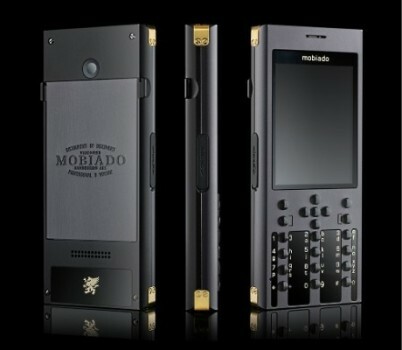 Mobiado, manufacturer of luxury mobile phones since 2004, has unveiled the new Professional 3 VG Collection. These are phones that are apparently ever ready for adventure and the perfect companions for people with a thirst for travel and discovery. Carved from solid aluminium and finished with an anodised coating, the Professional 3 VG frame is created so that it is fit for the most demanding of journeys. The Professional 3 VG has large sapphire crystal plates and sapphire buttons precision inset into the body. The battery cover is machine engraved with Mobiado’s signature and corners of the mobile set’s body are reinforced with golden plated brackets. The Professional 3 VG Collection is available in two sleek contemporary choices: Marrone and Graphite. The Professional 3 VG is unlocked and capable of working with all GSM network operators worldwide. It is dual SIM quad-band GSM (GSM 850/900/1800/1900) and has dual band 3G coverage WCDMA (on main SIM only). It is equipped with a 2.4” QVGA display, expandable microSD memory, camera and video camera, web browser, bluetooth 3.0, email support, and a music player. The VG Leather Case is handmade from Alcantara and calf leather in Geneva, Switzerland. 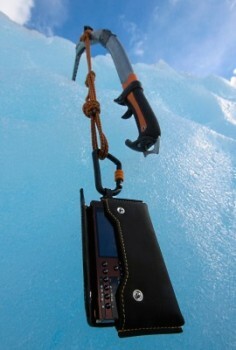 There is a built-in locking carabineer to aid in the user’s day to day adventures. To find a Mobiado dealer near you, click here. 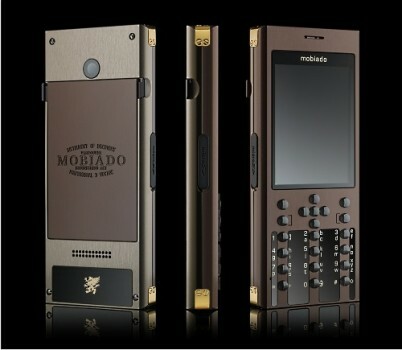 If you prefer more beautiful than hardy phones, click here to view Mobiado’s gold phone decorated with guilloche work. Tagged Big Boys' Toys, Gadgets, LifeSpice, Luxurious lifestyles. Bookmark the permalink.